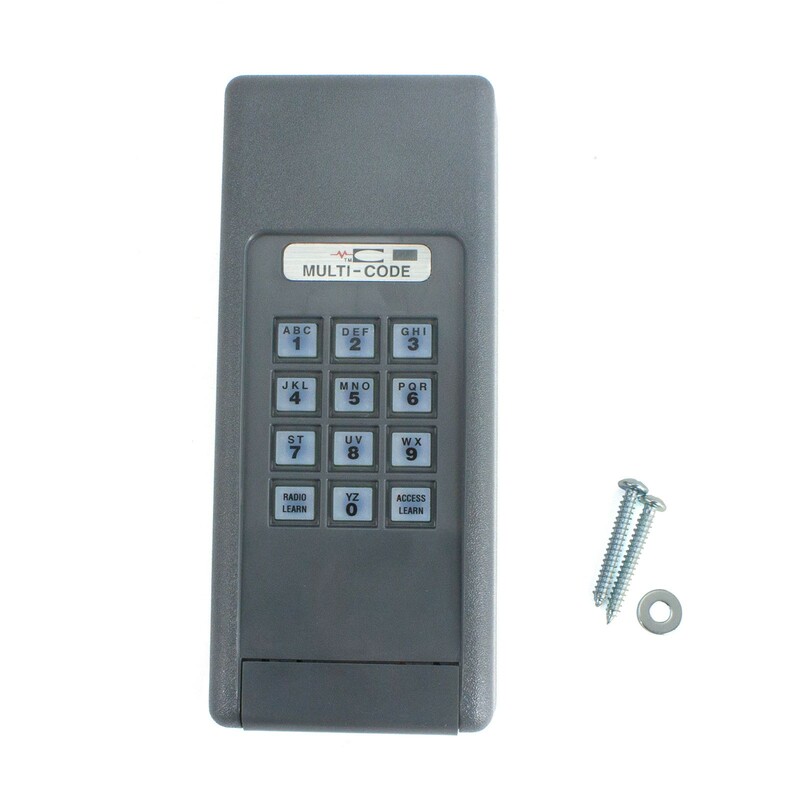 This wireless keypad transmitter features a 12 button alphanumeric keypad with 4 digit PIN code access. 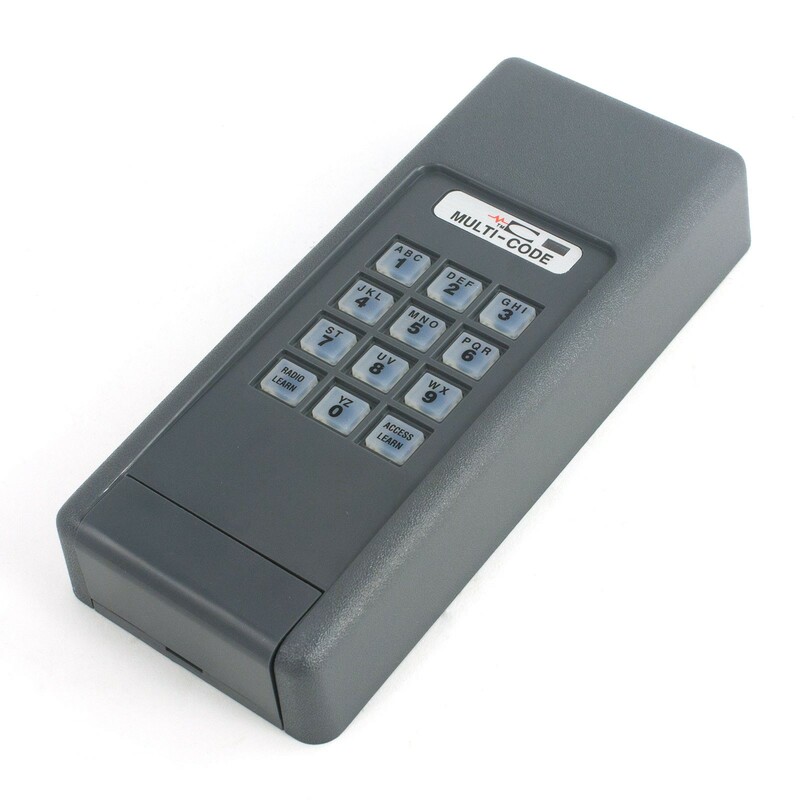 This durable transmitter is weather proof, tamper resistant, and handles up to 1024 selectable transmitter codes. 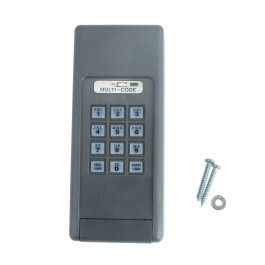 This wireless keypad transmitter features a 12 button alphanumeric keypad with 4 digit PIN code access. 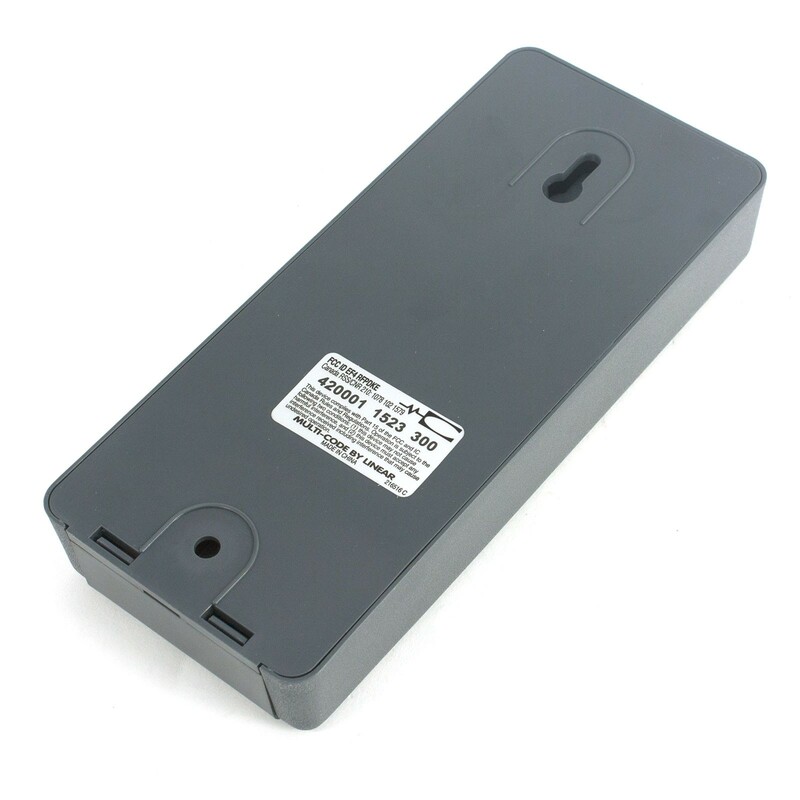 This durable transmitter is weatherproof and tamper resistant - it will survive sun, rain, snow, sleet, burglars and thieves. 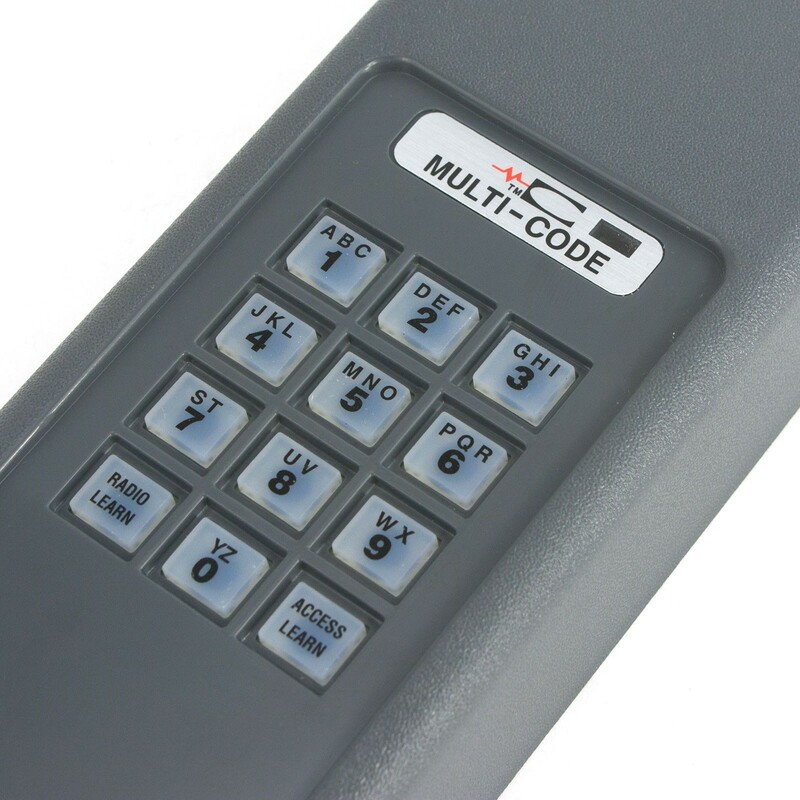 Our multi code wireless keypad handles up to 1024 selectable transmitter codes. You'll never have to worry about running out of codes! 300MHz. Runs on a 9 volt battery.